Nestled in the foothills of the Saddleback Mountains, Rancho Santa Margarita is a beautiful and affluent master planned community incorporated only in 2000. This family friendly city offers everything you can ask for in a highly livable community. It boasts acres of parks and open spaces, as well as neighborhood clubs that feature community swimming pools, clubhouses and other amenities. It is home to highly rated schools, business and employment centers, a wide selection of shops and restaurants, and a cinema complex. With its combination of village like atmosphere and fantastic urban amenities, Rancho Santa Margarita is one of the most desired places to live in Orange County. The surrounding views of mountains and lush green open spaces provide a scenic backdrop for an active and bustling lifestyle. The city is home to a picturesque manmade lake, where residents spend hours boating and fishing, or running, walking and biking along the 1.1 mile walk that hugs it. Rancho Santa Margarita also features two golf clubs and miles of winding trails set against the rolling hills and woodlands of Old Saddleback. 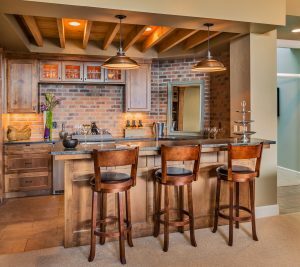 The city offers a wide range of homes in various sizes and prices, from townhomes and condominiums to spacious tract homes to large custom homes in gated communities. Most of the neighborhoods in the city are managed by homeowners’ associations, some of which include smaller sub associations as members. The Rancho Santa Margarita Landscape and Recreation Corporation, or SAMLARC, is the largest homeowners’ association, maintaining most of the city’s streetscapes, residential units, community parks and other facilities. Gated communities like Dove Canyon, Robinson Ranch, Trabuco Highlands and Rancho Cielo have their own homeowners’ associations. These communities offer a diverse range of property types and exclusive amenities like community pools, clubhouses and golf courses. Neighborhoods like Dove Canyon and Rancho Cielo feature upscale, custom built single family homes, sized from around 1,700 square feet to 4,000 square feet and up, with updated amenities and features that include private swimming pools, chef’s kitchens, patios and lanais, stunning landscaping and more. Dove Canyon boasts the private Dove Canyon Golf Club. Neighborhoods like Robinson Ranch and Trabuco Highlands feature upscale townhomes and condos with top-of-the-line features and appointments, and exclusive community amenities. The neighborhood of Walden offers a wider range of options, from condos and townhomes to relatively more affordable single-family homes and luxury properties. Rancho Santa Margarita is home to 22 private neighborhood and community parks, most of which are open to the public. The most popular park is the 21.4 acre Central Park in the Trabuco Highlands community. The city manages the approximately 3,358 acre O’Neill Regional Park, which offers camping facilities, picnic areas, an equestrian campground, an amphitheater and 18 miles of riding trails. In addition to its year-round recreational opportunities, the manmade, 11.5 acre lake, Lago Santa Margarita, is the venue of special community events, including Fourth of July celebrations and a yearly Fishing Derby. The Rancho Santa Margarita Community Center offers cultural and recreational programs for residents of all ages and interests. The Tijeras Creek Golf Club is an award-winning public golf club featuring an 18-hole Ted Robinson-designed golf course, a restaurant, a practice facility, and wedding and events amenities. The private Dove Canyon Golf Club features the only Jack Nicklaus “Signature” golf course in the entire Orange County. The club also includes a clubhouse, a fitness center, a grand ballroom and events facilities. You can also find several excellent golf clubs in nearby communities, such as the Aliso Viejo Country Club and the Pelican Hill Golf Club. Rancho Santa Margarita boasts several shopping centers where you can find numerous stores, boutiques, groceries and restaurants. Some of these are featured in the reality TV show, The Real Housewives of Orange County, as the places where the housewives do most of their work, shopping and dining.